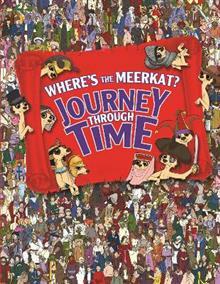 The fun-loving family of meerkats are back, and this time they're travelling through time! These cute and quirky animals gain more fans by the day. Spot them as they feast at a Tudor banquet, swash and buckle aboard Blackbeard's ship, spend a day in the Forbidden City and much, much more. Make sure to watch out for their arch-nemesis, the crafty hawk, and their annoying next door neighbour, the greedy ground squirrel! 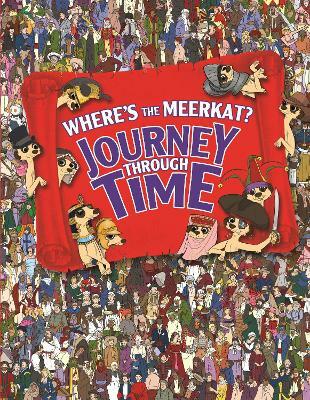 Combining meerkat madness with the challenge of a search book and the added thrill of time travel, this gorgeous book will make the perfect gift for adults and children alike. Paul Moran is a UK-based illustrator who has many years of experience in producing artwork for books, magazines and toys using both digital and traditional techniques. He is the illustrator of the Sunday Times Bestseller Where's the Unicorn?, along with other highly successful Michael O'Mara titles such as Where's the Meerkat?, Where's the Zombie? and Where's the Llama?